The Midland's favorite Chef's Competition is back on April 26, 2018! Each year we gather 10 of the Midland's most talented chefs to compete in this one of a kind event where you get to be the judge. Each chef prepares a sweet or savory dish. Throughout the night stop by each chef's table to try their sweet treat or savory hors d'oeurve. At the end of the night cast your ballot for your favorite dishes and help us award the top chefs with a Golden Spatula. This year we're hoping to raise $40,000 to support our programs for homeless teens and kids who have been abused or neglected. The money raised at Sweet & Savory helps pay for college application fees, driver's training, medical and mental health care, and much more for the residents at Palmetto Place. You can help support the cause by purchasing a ticket, becoming a sponsor, or donating an auction item. Skip the line and purchase your tickets before the event! Tickets are $50 each or $80 for two. Online ticket sales will end at 4:00 pm on Wednesday, April 25th, tickets may be purchased at the door. Sweet & Savory wouldn't be possible without our sponsors. We thank the following companies for their support. 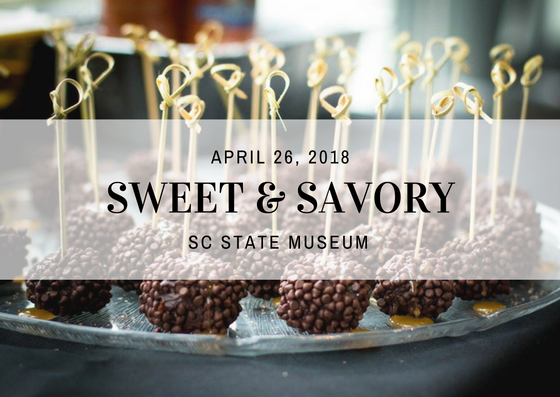 Lawrence Wright is the Food Services Manager at BCBSSC and has been involved with the Annual Sweet and Savory event benefiting Palmetto Place for the past 5 years. 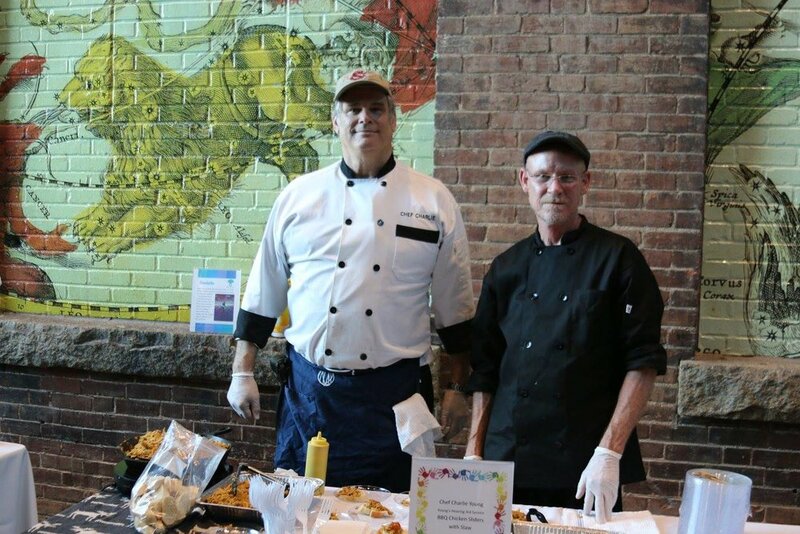 He is involved with the No Child Hungry campaign as a volunteer Chef Instructor for the Cooking Matters program sponsored by SC DHEC as well as leading a monthly Healthy Cooking class at the SC Blue Retail Center. When not in the kitchen he enjoys “up-cycling” furniture with his wife and jumping on trampolines with their three kids. This year Lawrence is Partnering with Vinnie Livoti, Director of Food Services for BCBSSC. Vinnie loves late-night snacking on nachos and wishes he could go back in time to keep Vito Corleone from being killed. 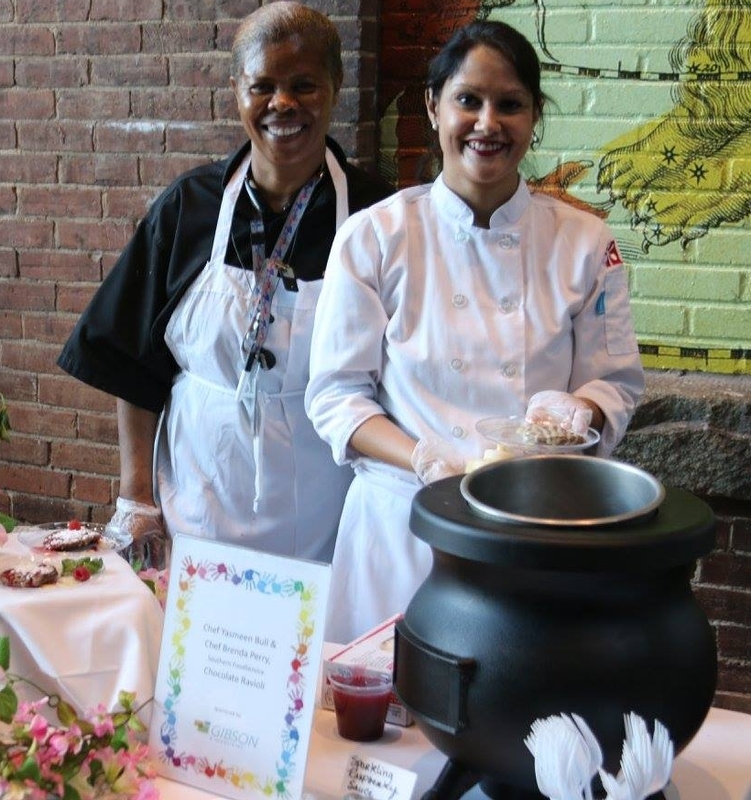 Working for Southern Foodservice Management, Brenda and Yasmeen have nearly 40 years of culinary experience between the two of them. Brenda grew up in Carthage, MS and have worked all over the world, including Iraq and Germany during her time as a civilian working or the United States Military Yasmeen is native to South Carolina and is a graduate of the University of South Carolina and the Le Cordon Bleu College of Culinary Arts in Atlanta. She has worked in kitchens across Atlanta, New Orleans, Greenville, and Columbia. Born & raised in Columbia, David Grillo has been a part of the culinary community for over 20 years. 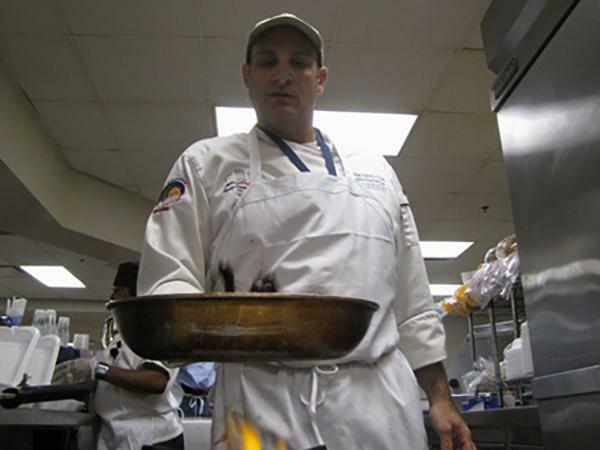 Since 2007, Dave has been an instructor at the Culinary Institute at Carolina specializing in Soups, Stocks, and Sauces. He is currently the Executive Chef of Cantina 76; a Taqueria & Margarita bar with multiple locations & Za’s Brick Oven Pizza. Chef Grillo’s commitment to only using fresh & local ingredients has made a successful formula for fine food at a fair price in a casual setting. His other endeavors include working for the Augusta National Golf Club, fundraising for Palmetto Place, and private dining & catering. Chef Charlie Young has had a passion for cooking since he was big enough to stand up in a chair by the stove and help his mother by stirring the pot. "Cooking has become one of my favorite hobbies," Says Charlie. Chef Young completed the culinary program at USC in 2007 and has actively been involved with the ACF Midlands Chapter ever since. "I really enjoy doing cooking demos, catering, and teaching classes." Executive Chef Jason Bruner developed his passion for cooking at a young age, dating back to his years growing up in Plaquemines Parish just outside of New Orleans, Louisiana. To him, food is a way of life and a way to bring family and friends together. Whether it was cooking by his grandfather’s side for his family, or serving the city of New Orleans, food has long been a staple in his life. His travels around the world to Italy, China, Australia, Hawaii, New York, and most recently Barcelona, Spain, have diversified and enhanced his culinary skills, all the while enabling him to share his passion for food with the world. Michael Giri the Executive Chef at Embassy Suites has worked throughout the United States in a variety of establishments including hotels, resorts, restaurants and country clubs. 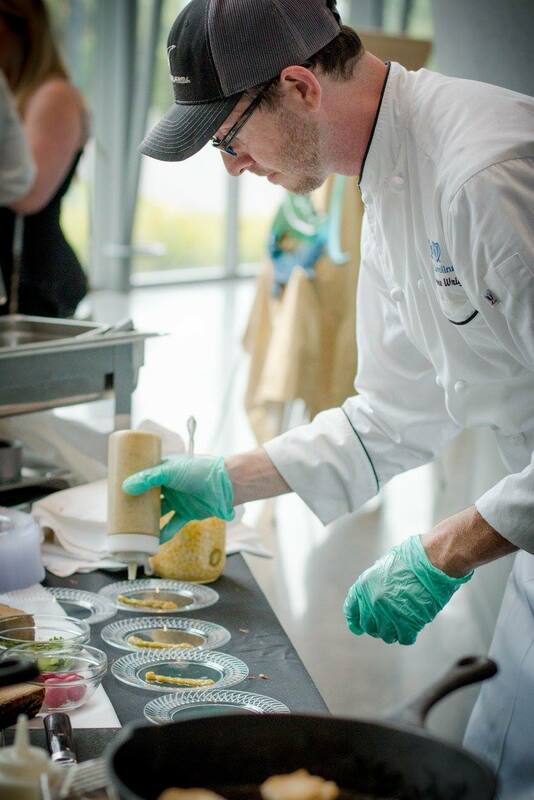 Chef Michael has a passion for community and sustainability and after working in California and Colorado, he's helped spread the “green” mentality here in Columbia, SC! Arie Shenkar is a native of Israel, the Executive Chef at The Mediterranean Tea Room, and has been cooking his whole life, learning from his mother. An active member of the ACF, Arie enjoys volunteering at local festivals and competitions for a compelling cause. You can find Arie teamed up with Ben Perzan, Marketing Associate for Sysco Columbia. Ben also learned to cook from family, growing up in his grandmother’s New York kitchen. In his spare time, he bakes bread, cooks, gardens and collects vinyl records. 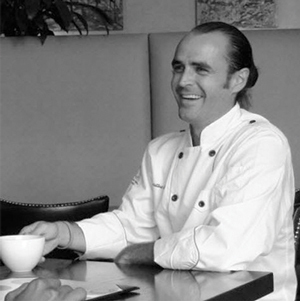 Chef Robert Stegall-Smith’s background is in fine dining and private clubs. 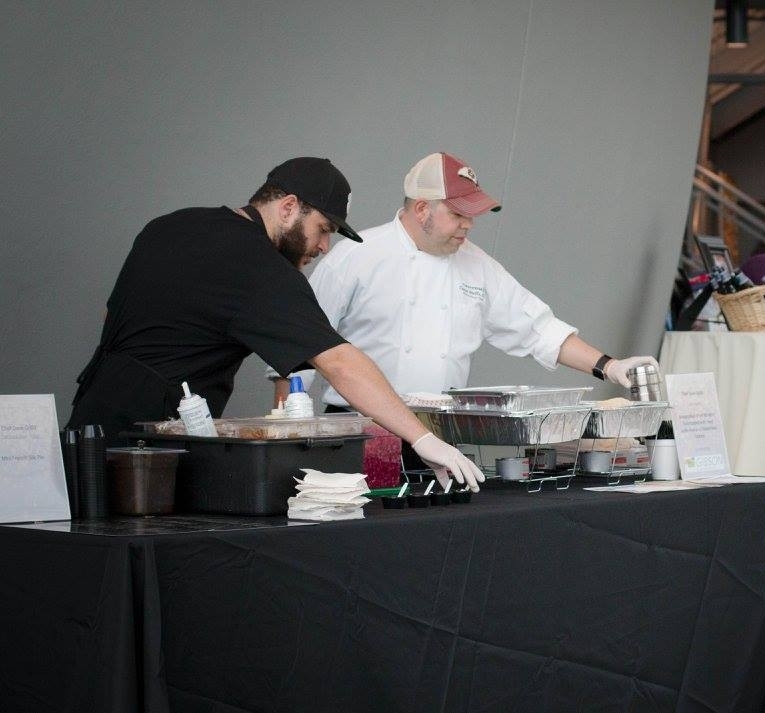 He’s been recognized as Chef of the Year in the Midlands and Florence, a combined THREE times, took home an ACF Gold Medal in the 2011 Adluh Grits Mystery Basket competition and has also received a Richard M. Lee Culinarian of the Year award. Don't miss the Charleston Distilling Co. tasting at Sweet & Savory. Stop by for a chance to taste their vodkas and gins.